Hello friends I would like to share scenario on usage of ad hoc start events in IBM BPMv8.0. Order processing process application allows the customers to book their orders from web. In order to complete this it follows the below steps. A user login into portal with their credentials and enters order, credit card and shipping info. For processing this order it takes maximum 7 days .Within this 7 days a customer can cancel his order at any time . To cancel Order customer has to call the Call center agent .A call-center agent needs to cancel specific order. 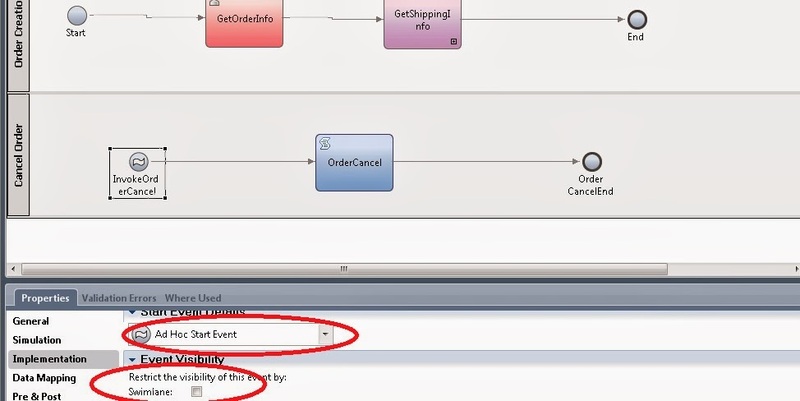 If you observer above scenario, have to perform action (cancelling Order )on existing instance (Order creation). While a process is running, a user might need to launch a new activity or set of activities. 1). “GetOrderInfo “user task allow s user/ customer to enter order ,credit card ,shipping info ..etc .”Processing Order “ sub process will process submit Order. (which may take max 7 days). 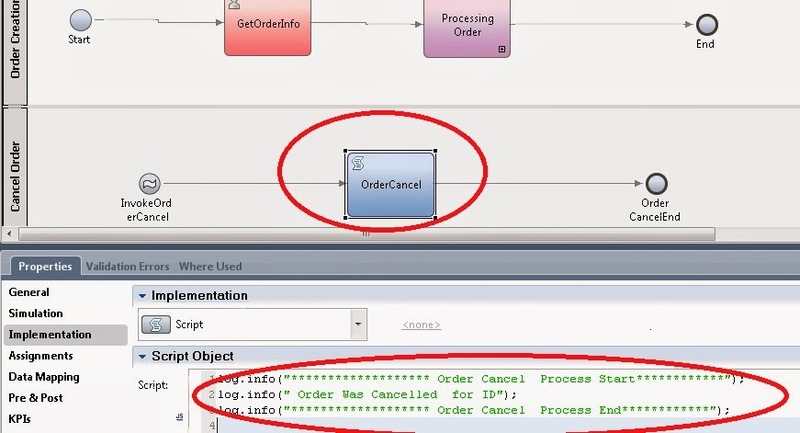 2)In Cancel Order lane I had used script activity and added simple log statements(As it is for demonstration purpose).but in real time case you may add your own logic for Order Cancellation like Using system task to delete process instance or deleting order from database using IS(integration services)..etc. 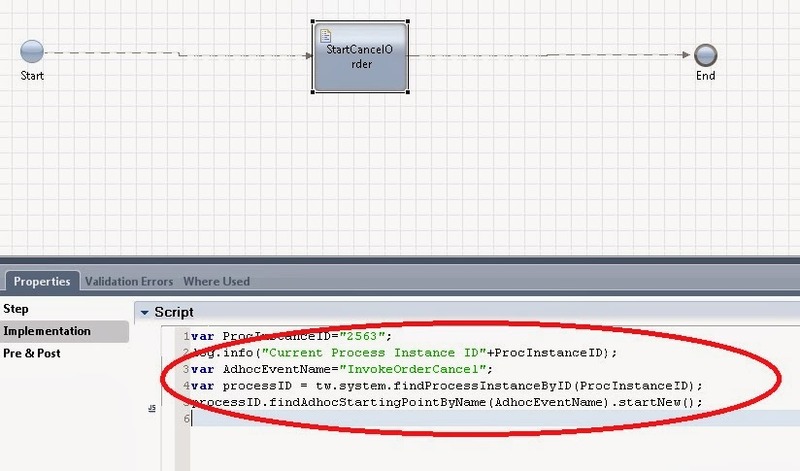 3) Coming to Ad hoc start event activity configuration name as “InvokeOrderCancel”(Which is used to start Ad hoc event using web API),In Implementation have option event visibility which allows us to restrict access from Process Portal to particular participant group/Users. Login into Process Portal with valid credentials (Who have rights to cancel order in our case call-center agent. 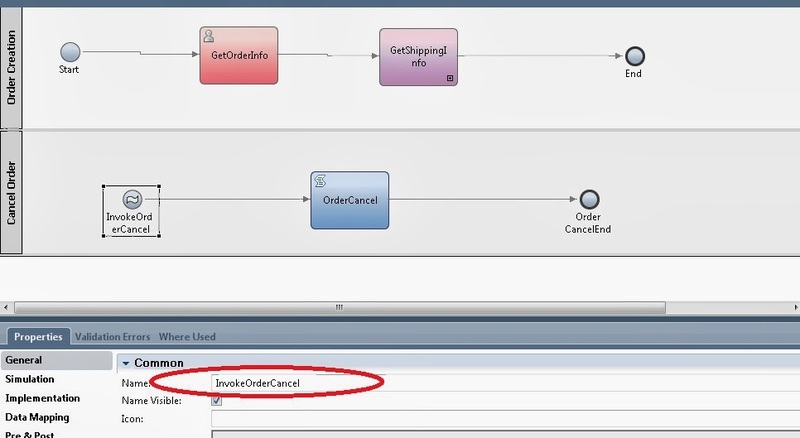 Select the waiting task in instance and expand it and there is option with name “Invoke ordercancel”(Which is the name of Ad hoc start event name) as shown below. Click on it. Note: -Ad hoc task instances that were created during the running of a process instance must be complete before the process instance completes. A user /customer can request for Order cancellation to call-center agent before Order was shipped. Use the below script to start ad Hoch start event in a BPD. If you want to restrict some process portal options (for example Start Ad hoc events) to particular users/groups. we need to set event visibility options properly and verify 100Custom.xml ,if the permission for ACTION_INJECT_TOKEN is given to particular users/groups. I hope this post helps you. So far this is my best effort to explain. Please correct me if I do anything wrong/any best way other than this.